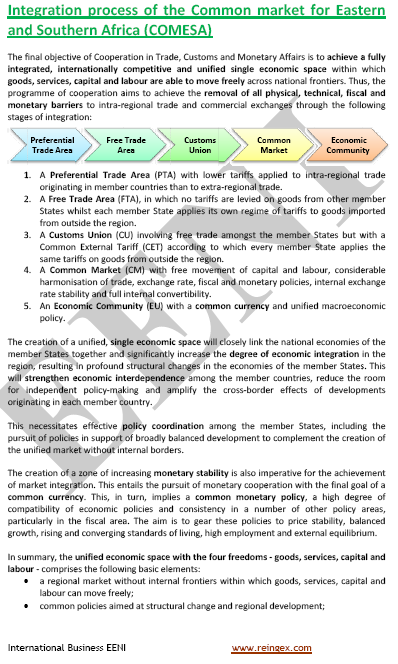 Syllabus of the Online Course (Subject): Common Market for Eastern and Southern Africa (COMESA). 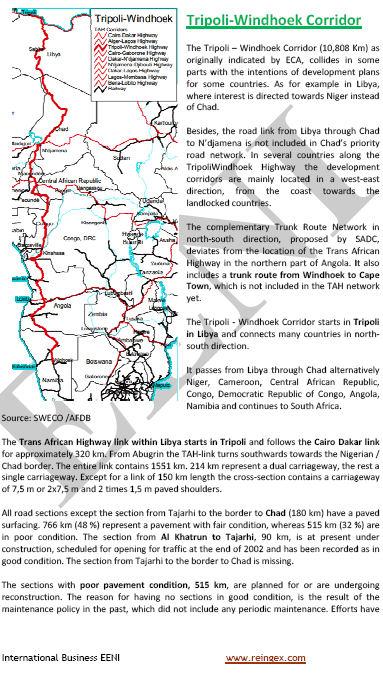 Infrastructure in the COMESA region. 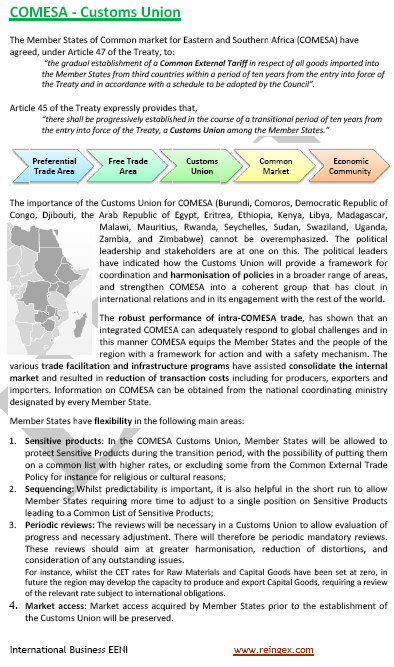 Description of the Online Course: COMESA (Common Market for Eastern and Southern Africa). COMESA: 50% of the FDI inflows in Africa. 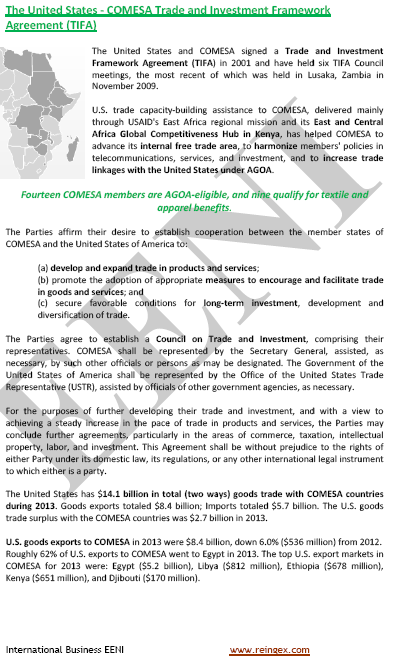 The COMESA (Common Market for Eastern and Southern Africa) members economies are Burundi, the Comoros, the Democratic Republic of the Congo, Djibouti, the Arab Republic of Egypt, Eritrea, Ethiopia, Kenya, Libya, Madagascar, Malawi, Mauritius, Rwanda, the Seychelles, Sudan, Swaziland, Uganda, Zambia, and Zimbabwe. South Sudan, has requested the access to COMESA. These countries are predominantly Christians. 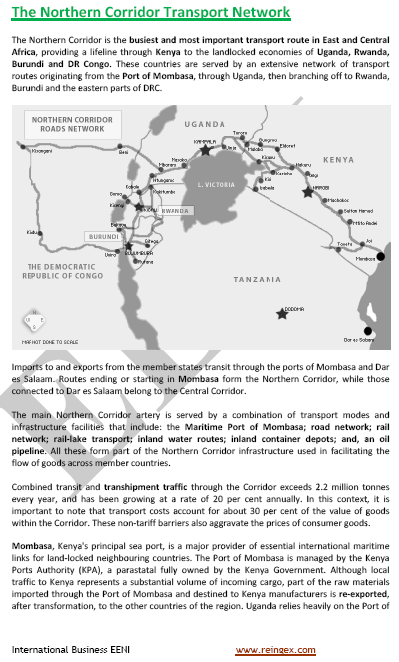 The objective of the Common Market for Eastern and Southern Africa (COMESA) is to develop a Free-Trade Area removing all the internal trade tariffs and barriers. 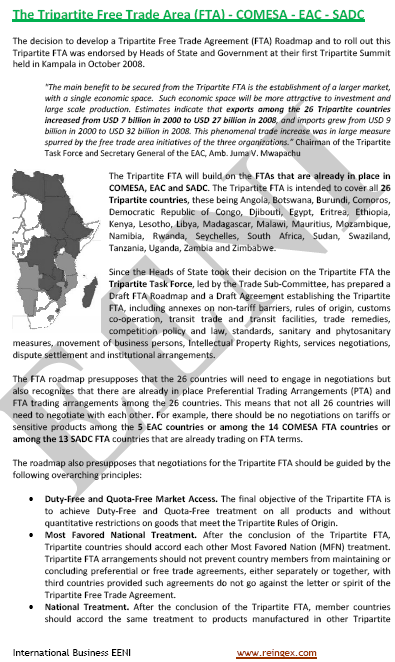 The COMESA Free-Trade Area was achieved in 2000 when nine of the COMESA member economies (Djibouti, Kenya, Madagascar, Malawi, Mauritius, Sudan, Zambia, and Zimbabwe) eliminated their tariffs on originating products from Eastern and Southern African Countries. This followed an international trade liberalisation programme that started in 1984 on reduction (and eventual elimination) of tariff and non-tariff foreign trade barriers in the Common Market for Eastern and Southern Africa (COMESA) region. 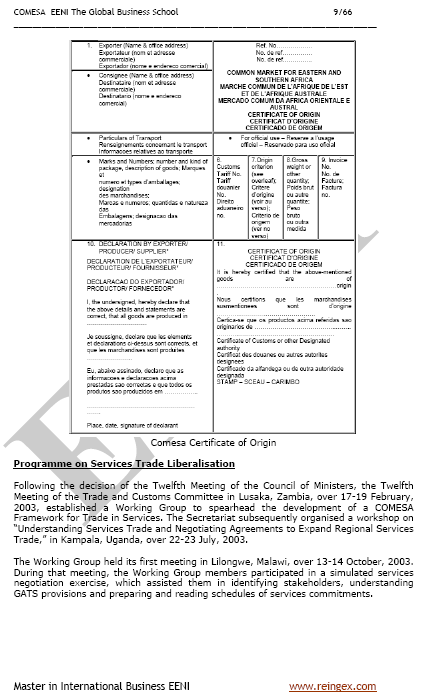 Burundi and Rwanda joined the COMESA Free-Trade Area in 2004. These eleven economies of the COMESA (Common Market for Eastern and Southern Africa) Free-Trade Area have not only eliminated customs tariffs but are working on the eventual quantitative restrictions and other Technical Barriers to Trade (TBT) elimination. 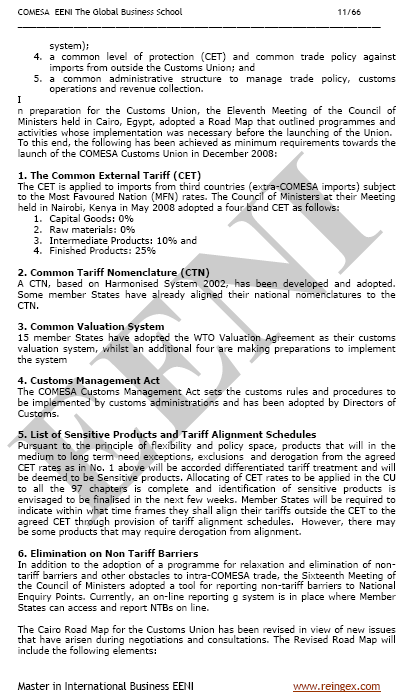 The Common Market for Eastern and Southern Africa (COMESA) plans to become a Customs Union. 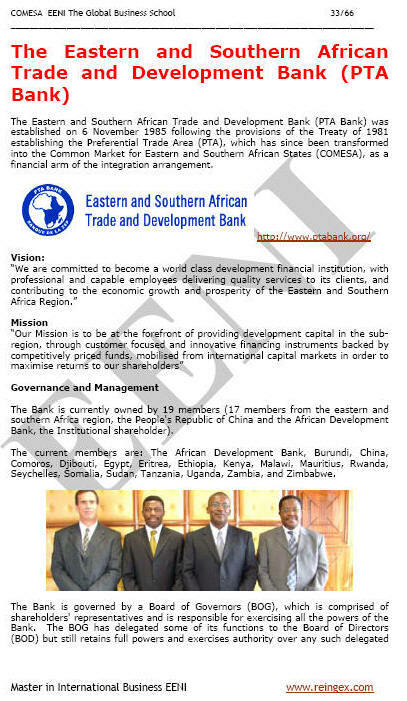 The Eastern and Southern African Trade and Development Bank was created in 1985 following the dispositions of the Treaty of 1981 establishing the Preferential Trade Area, which has since been transformed into the Common Market for Eastern and Southern African States (COMESA), as a financial arm of the integration arrangement.